Pardon my exasperation, but there are times when the elitist views of the mandarins who set rules for the rest of us from the federal bench and other similarly exalted vantage points are indeed upsetting. As an example, consider the Supreme Court and its decision last month on selling and renting violent video games to children. Yes, Supreme Court justices have the difficult job of interpreting and applying the Constitution. But does the performance of that sensitive task necessarily require the abandonment of common sense? Frankly, I doubt it. In the case in question, the court voted 7-2 to uphold a lower court decision that overturned a California law against letting childen acquire violent videos for themselves. That violates free speech, it held. Justice Antonin Scalia, writing for the majority, said video games, just like books, plays, and movies, “communicate ideas —and even social messages” protected by the First Amendment. Now, what ideas and social messages are these? As Justice Samuel Alito pointed out, among the violent video games that Justice Scalia thinks the First Amendment protects are ones enabling players to re-enact theColumbineHigh Schooland Virginia Tech massacres. “Disgust is not a valid basis for restricting expression,” Justice Scalia sagely wrote. To which the eminently reasonable response that comes most naturally to mind is simply: Aaargh! The media in their coverage of this decision devoted much attention — which moralists back in the old days were wont to call “morose delectation” — to the split between Justice Scalia and Justice Clarence Thomas, both Catholics and conservatives who often vote alike. Justice Thomas based his dissent on an “originalist” reading of what the framers of the Constitution supposedly had in mind. Justice Scalia, also said to be an originalist, shrugged that off. The common sense view of children is that they comprise a special, vulnerable class of persons whose vulnerability gives their parents and the community the right and high duty to exercise careful supervision to promote their interests and keep them from harm. There are laws that prevent minor children from driving automobiles, buying alcohol or cigarettes, and doing many other things reasonably deemed likely to injure them or others. Ever since 1968, as Justice Stephen Breyer pointed out, the court has been on record approving laws intended to keep sexual material that’s accessible to adults out of the hands of minors. 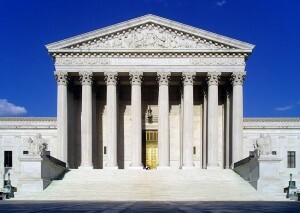 Supreme Court decision recognizes the parental right to determine the schooling of a child — including the right of parents to do the schooling themselves if they think best. But if parents can do that, don’t they also have a right and duty to keep their children from exposure to violent video games? Who but an ACLU lawyer — or a Supreme Court justice — would care to argue they don’t? Next term the court will hear a case challenging the Federal Communications Commission’s authority to ban indecent content from television during the hours — 6 a.m. to 10 p.m. — when children are most likely to be watching. The common sense take on whether the FCC should do that is: For goodness’ sake, yes. As for how the Supreme Court will choose to see it, my advice is: Don’t bet on common sense. Join Fr. Frank Pavone’s Urgent Plea: Release Baby Joseph’s Medical Records!